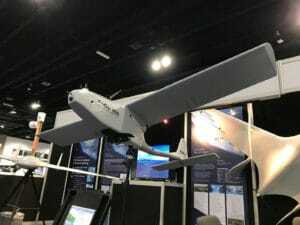 Spy Owl 200Robot Aviation, a Norwegian developer and producer of Unmanned Aircraft Systems, has announced the acquisition of UAS Europe AB, a Swedish developer of small unmanned aircraft systems and subcomponents. The acquisition reinforces the vision of Robot Aviation to provide its customers with long-endurance, safe and easy-to-operate UAS (drones) for Military & Commercial applications, increasing operational effectiveness and decreasing operational costs. It will enable Robot Aviation to secure a rapid and harmonious growth to meet the rising demand for its unmanned systems worldwide. The acquisition brings Robot Aviation both a strategic partnership and also an enriched R&D team with unique skills. The group’s workforce has now increased to 50 people. “During our collaborations with Robot Aviation we have been very impressed with the team’s vision and energy. We are very happy to be joining the Robot Aviation team and to participate in the very dynamic growth of the company”, says Paul Holmstedt, the founder and CEO of UAS Europe. ‘’The addition of UAS Europe’s product line makes us an even more attractive provider of unmanned systems. The Robot Aviation product line has mission requirements ranging from the Arctic with its extreme challenging conditions, further down to the hot and dusty desert regions and with a high interest for maritime duties around the equator. Together with UAS Europe we provide a genuine Global Capability with maximum exportability’’ says Niklas Nyroth, Director of Sales at Robot Aviation AS. “We are serious about taking a position as a leading provider of unmanned system solutions and to do that, rapid growth is indispensable. In this context, it is crucial to be able to gain a sustainable and solid technological edge over the competition.This purchase will strengthen our portfolio and enable us to address new market segments, as well as strengthen our innovative capability and development potential,” concludes Børre Larsen, CEO of Robot Aviation AS. Robot Aviation will complement its offering of the existing SkyRobot FX20 and SkyRobot FX450 unmanned aircraft systems with the proven Spy Owl 200 from UAS Europe under the name SkyRobot FX10. All systems are on display on Robot Aviation’s booth #3515 at AUVSI’s XPONENTIAL 2018 Denver, Colorado.